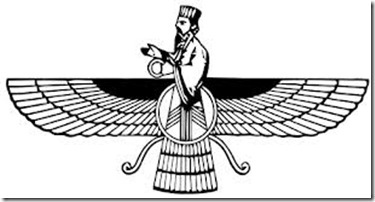 Zoroastrianism, in spite of its small current number of adherents, has played a huge role in the study of comparative religion. Not only was it a cohort of the ancient Vedic Hinduism, but also had a huge influence on the development of Judaism and Christianity. This part of the site has complete online editions of the Sacred Books of the East’s Zoroastrian texts: the three volume Avesta series, as well as the five volume Pahlavi series. The scared texts are HERE. Enjoy! This entry was posted in Uncategorized and tagged Avesta, Christianity, Comparative Religion, East, Judaism, Pahlavi, Sacred Books, Vedic Hinduism, Zoroastrianism. Bookmark the permalink. They survive – the Parsis in India.